Bold and adventurous in her work as owner of one of Manhattan’s boutique interior design firms, Kit Finn couldn’t be tamer in her personal life. While on vacation in the Florida Keys, Kit resolves to do something risky for once. When she literally bumps into a charming stranger at her hotel, she decides to make good on her promise and act on her attraction. But back in New York, when Kit arrives at his luxury apartment ready to pick up where they left off in the Keys, she doesn’t recognize the man standing on the other side of the door. Was this a cruel joke or part of something truly sinister? Kit soon realizes that she’s been thrown into a treacherous plot, which is both deeper and deadlier than she could have ever imagined. Now the only way to protect herself, her business, and the people she loves is to find out the true identity of the man who has turned her life upside down. 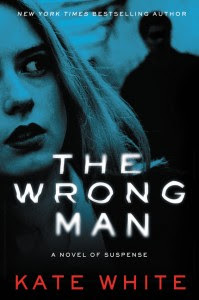 Adrenaline-charged and filled with harrowing twists at every turn, The Wrong Man will keep readers riveted until the final page. I really enjoyed this book. From the beginning, White creates a well-rounded relatable character in Kit. Who hasn’t gone through life wanting a moment of reckless fun? Only reckless fun turns into a whirlwind of twists and turns for Kit. What I loved most about this book is that just when I thought I’d figured out the next turn, I’d find myself coping with an unexpected turn. An author has succeeded if he or she can solicit some kind of emotional response from the reader— I found myself constantly agitated for Kit, wondering what they heck was going on alongside her as a flipped on from one page to the next. I felt Kit’s frustration, her fear and her angst. White does well with plot, but she also does equally well with believable dialogue and emotion, which kept this fast-paced novel moving with smooth precision. It was, indeed, hard to put down (once I finally had the chance to sit down with it). Though over 300 pages in length, the book—thanks to great writing and addictive plot— can be read in a day or two (depending on how busy your life may be). Recommended. 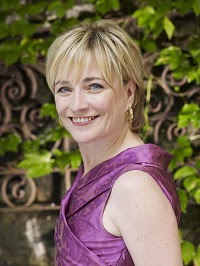 Kate White, the former editor in chief of Cosmopolitan magazine, is the New York Times bestselling author of the stand -alone novels Hush, The Sixes, and Eyes on You, as well as the Bailey Weggins mystery series. She is editor of The Mystery Writers of America Cookbook. She is also the author of popular career books for women, including I Shouldn’t Be Telling You This: How to Ask for the Money, Snag the Promotion, and Create the Career You Deserve. I think we all long for that moment of carefree fun and adventure … and hope that it doesn’t turn out for us like it did for Kit!